Cathaia International GmbH and Co.KG consider itself as a world wide acting company, which develops and implents ecological and sustainable concepts. We specialize in the rapidly growing Paulownia species that we have successfully grown in Europe, Africa and Central America. The invitation to the Economic Forum between the Côte d'Ivoire and Italy, organized by the Milan Expo from 28.09. until 29.09.2015 came for us very surprising, but it made us accordingly proud. As it turned out, the reason for the invitation lay in our "Cathaia Perma" concept designed for Senegal, which had found its way to the Ivorian Ministry of Economics and met with a genuine interest there. In a personal meeting with the Ivorian minister of economic affairs in Milan, we were able to explain the concept further. 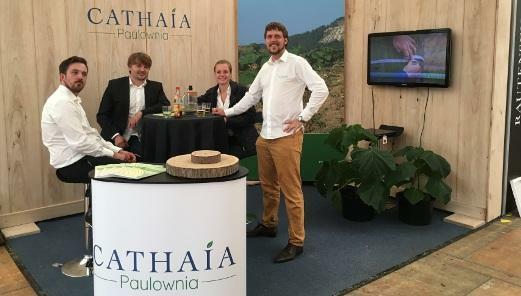 At various trade fairs you have the opportunity to get to know us and to talk to us personally about the cultivation of Paulownia in Germany and worldwide. However, also topics such as profitability, commercialization of wood, its special properties in furniture construction and other special areas can be discussed there. At our stand you can see, touch, feel and smell the Paulownia. 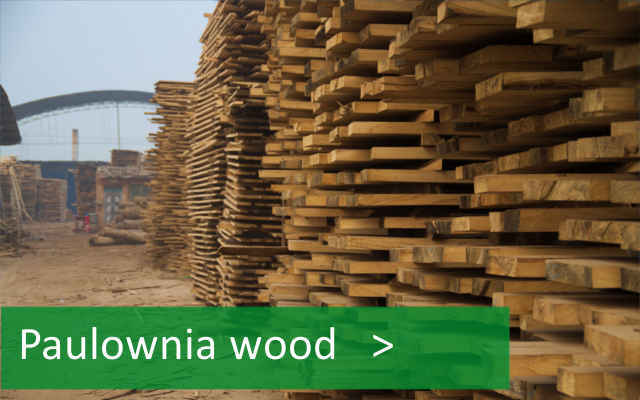 But you can also experience Paulownia wood in use, from trunk slices to the processed product. It's definitely worth a visit. In January 2016 Cathaia received an exclusive invitation to the "Chinese Paulownia Research Center" (CPRC) in Zhengzhou. This institute, which is part of the Chinese State Forestry Academy, was founded in 1984 and is the largest research institution in the world dealing exclusively with Paulownia. Only a few private companies were allowed to look behind the walls of this unique institution. 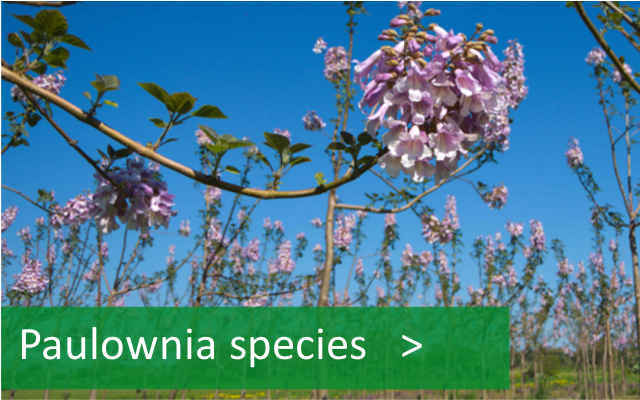 Six different professors with around 70 employees work on all aspects of the Paulownia, including breeding and genetics, cultivation, wood science and economics. After a welcome from the Institute Director Prof. Li FangDong, a presentation of the institute and a joint workshop, we were allowed to be guided by Prof. Chang to the locations of the Paulownia cultivation, sawmills and the wood processing, to participate on on-depth discussions on cultivation, care and processing methods. Until today, we maintain a lively contact and benefit from our knowledge gains.